Worried about finding space to store your stuff? Don’t be! Independence Mini Storage is here to help. 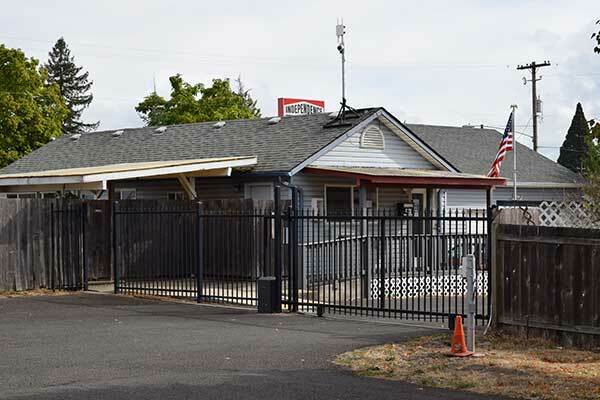 Our self storage units for rent near Highway 51 in Independence, OR, are designed to bring you peace of mind. We focus on customer service and are dedicated to your comfort. As a tenant, you will find that our facility is well equipped with the features and services that are important to you. It starts with security. Our property is fully fenced with an electronic access gate. That means only authorized individuals can enter. We also utilize video surveillance to monitor our facility 24-hours a day. More than excellent security features, we offer you a selection of convenient services and amenities. Save your back some pain and reserve a dolly from our leasing office. Do you own a business and need freight dropped off at your unit? We will be happy to accept the delivery on your behalf (with a signed release). Independence Mini Storage is your Northwest Moving Headquarters. Learn more when you reserve your unit!